If you are looking for the best and most amazing window cleaner services in Surprise then you have come to the right place. Arizona Window Washers is far the right service, no matter if you are a residential customer or a commercial one. Our company has years of experience in this field and we are more than qualified to tackle any window washing, window cleaning and pressure washing project that our customers might have. You can rest assured that no matter how difficult the work might be we will certainly provide you with the highest quality services. Here, at Arizona Window Washers we are able to improve the look of any building, no matter if it is your house or your work place, you can count on us to make your windows look like new. After all, we are the number one window cleaner in Surprise and in the surrounding areas because of the high quality of our services. No matter how difficult an issue or a project might be, you can count on us to come up with innovative and effective solutions to solve it. One of the main reason Arizona Window Washers is the most popular window cleaner in Surprise is the fact that we have the most professional team in the business. We take great pride in our work but we also pride ourselves in working with some of the best trained and experienced window cleaning and window washing technicians in the area. Our experts are able to wash and clean any type of window, no matter how long it has been since its last cleaning. When it comes to window cleaning and window washing, things are always quite relative, because one shower of rain can usually a day’s work. However, this is not the case for us. If you pick Arizona Window Washers to deal with your window washing issues, no matter if you are interested in commercial window cleaning or residential window cleaning, you can be sure that the results of our work will last a very long time regardless of the weather. The high quality of our work is also due to the fact that our company uses the latest and most innovative window cleaning and window washing tools and products. When it comes to doing a great job, we only trust the best products currently available on the market to help us achieve our goals. More than that, our professional team of experts is also equipped with the latest equipment so that you get the best window washing treatments possible. All you have to do now is give us a call and tell us all about your window cleaning needs. 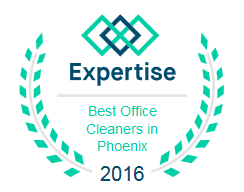 Arizona Window Washers, the best window cleaner in Surprise can offer you a free quote with our window cleaning quote tool with fast response time!